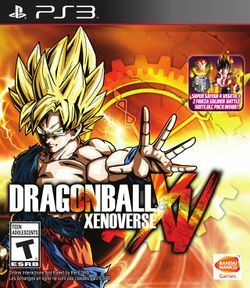 Dragon Ball XenoVerse (officially abbreviated as Dragon Ball XV) is a fighting role-playing video game based on the Dragon Ball media franchise developed by Dimps and published by Bandai Namco Games. It was released in February 2015 on the PlayStation 3, PlayStation 4, Xbox 360, and Xbox One consoles and on the PC for Microsoft Windows via Steam. It is the first Dragon Ball video game released on eighth generation video game consoles. This page was last edited on 29 May 2016, at 18:30.